The first finds were made by metal detecting brothers Joakim and Jørgen Korstad on January 25th of this year. 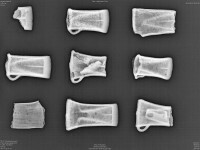 Scanning a field in the village of Hegra, about 25 miles east of Trondheim, Norway, they discovered nine socketed axes (known as Celts), a spearhead, a casting mould and a fragment that may be a piece of an ancient horn called a lur. 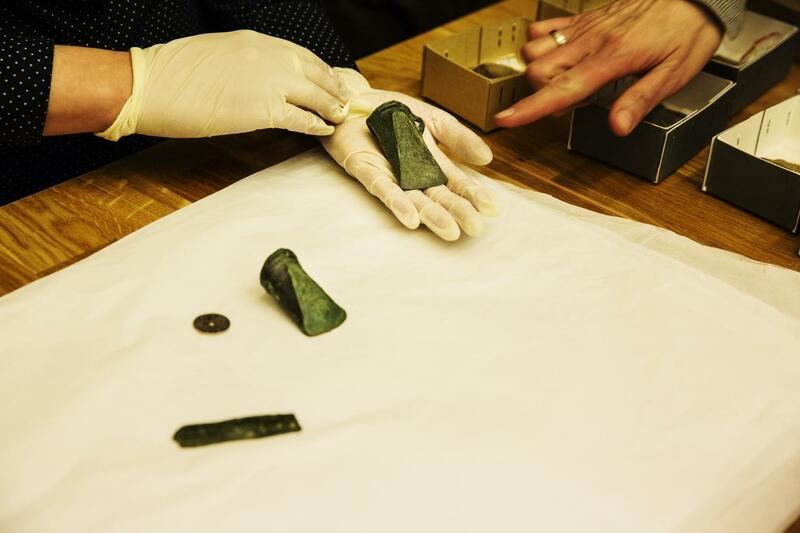 Realizing they had stumbled on an archaeological mother lode, the brothers called Nord-Trøndelag County Council archaeologist Eirik Solheim, who immediately had the area secured and inspected the finds on the spot. He dated the axe heads and other artifacts to the Late Bronze Age, between 1100-500 B.C. Last week, a more thorough excavation of the site was undertaken funded by Cultural Heritage and the Nord-Trøndelag County Council. The Korstad brothers and their trusty metal detectors aided Eirik Solheim archaeologist Merete Moe Henriksen from the Norwegian University of Science and Technology (NTNU). The second search unearthed another 15 axeheads and additional metal objects and fragments. That brings the total of the Hegra Bronze Age hoard up to 30 artifacts, 24 of them axes. 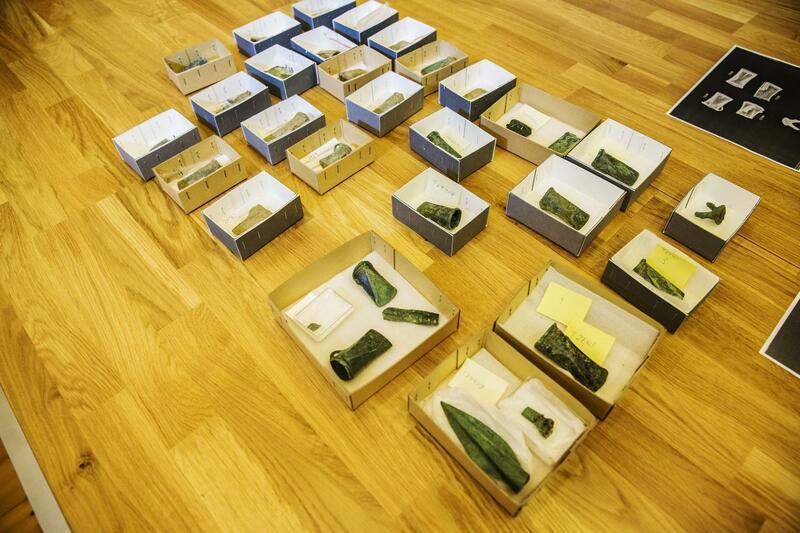 This is the largest number of axes ever found in a single deposit in Norway. 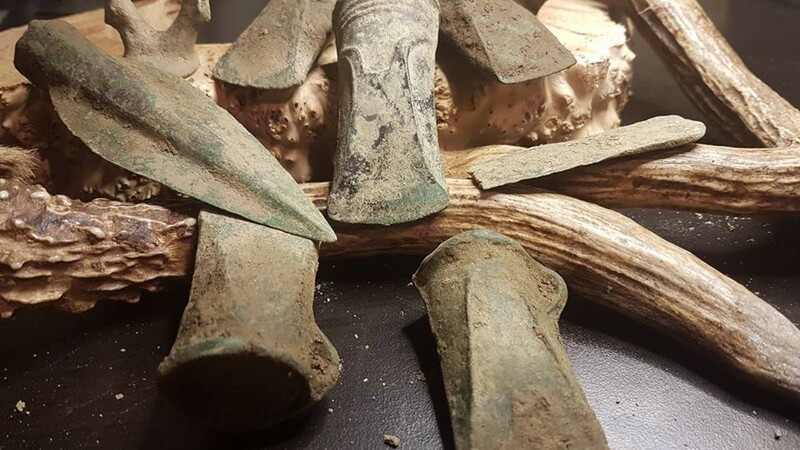 As if that weren’t significant enough, only about 800 metal artifacts from the Bronze Age have been recovered in Norway, so 30 in one fell swoop is a finding of sizeable proportions. In the county of Trøndelag only about 150 metal objects from the period have been unearthed, so the county’s Bronze Age metallic artifacts have just increased by 20 percent. Stjørdal municipality is one of the areas in central Norway that has a concentration of ancient rock art and rock carvings. Solheim has wished for a museum to showcase the rock art of the area. 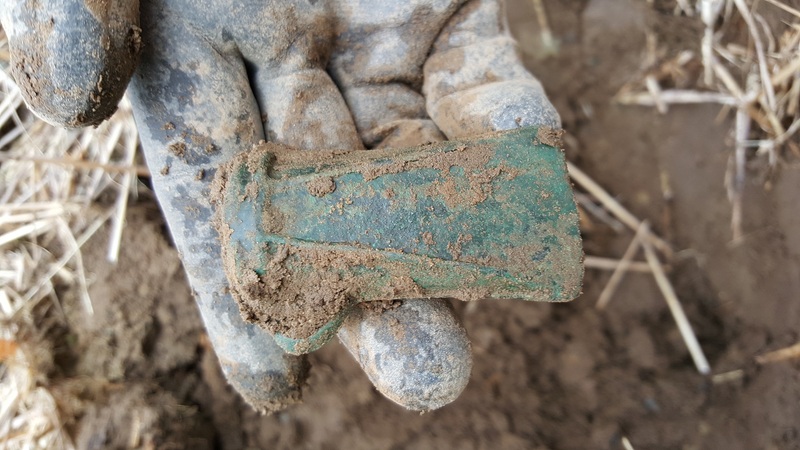 “We know that there’s been a lot of activity in this area, but we’ve lacked artefacts. Now this shows up and it’s infinitely more than we could have asked for. It’s so spectacular and totally cool,” he says. 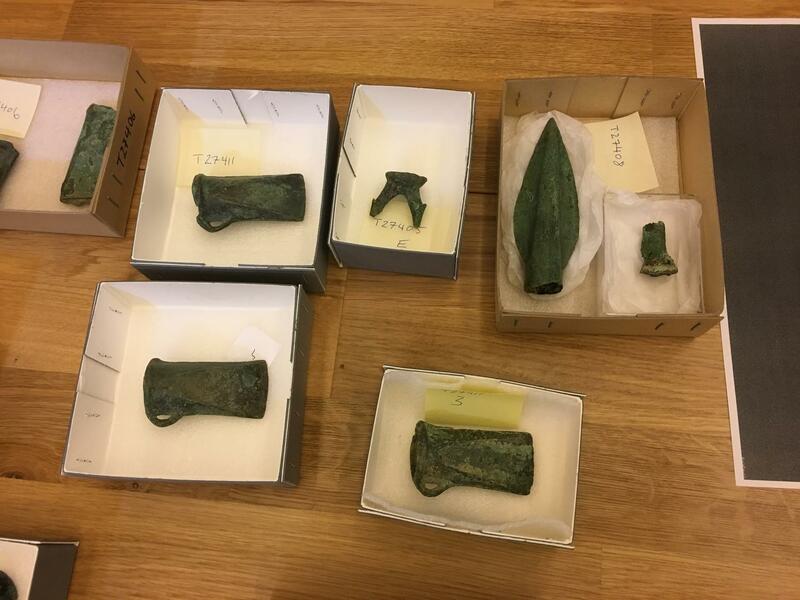 NTNU researchers will now study the objects in the hope of determining the nature of the hoard, why the artifacts were buried there. The always popular religious ritual is a possibility, but there may have been a more practical motive as well. They could have been hoarded temporarily for safekeeping before being melted down and recast, only for the plan to be interrupted. The axeheads have already revealed a Kinder egg-like surprise inside: there appear to be other metal objects encased within some of them. The team will also test the objects using XRF analysis to determine what alloy they are composed of. The type of alloy will indicate whether the axes were tools used for work or if they were decorative. Small samples of the metal will be analyzed to determine the origin of the copper. Copper is known to have been mined locally in the Bronze Age, including in what is now the municipality of Meråker, about 50 miles east of Trondheim. 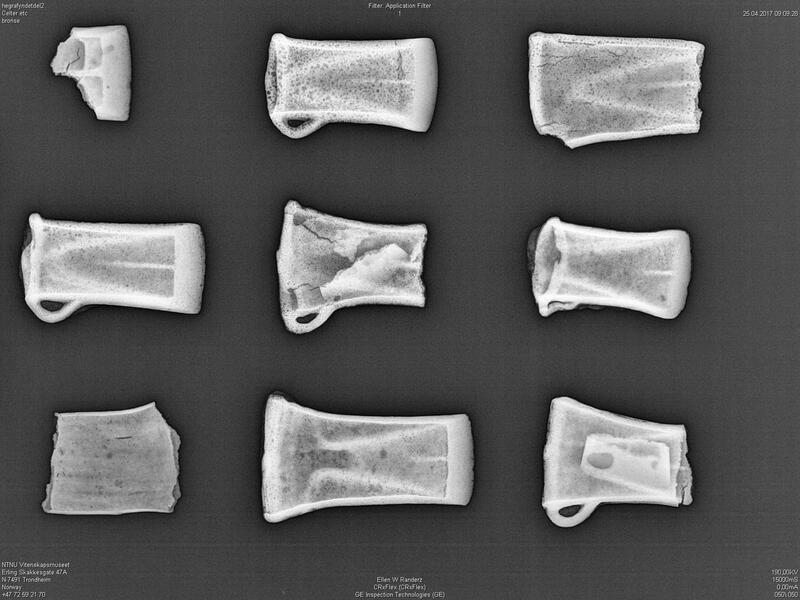 Archaeologists hope to return to Hegra in the fall to look for more artifacts and get some answers to some of the questions about this unique hoard.